This tea is full of life and vigor with a malty full bodied character, bright notes, and hints of oak. 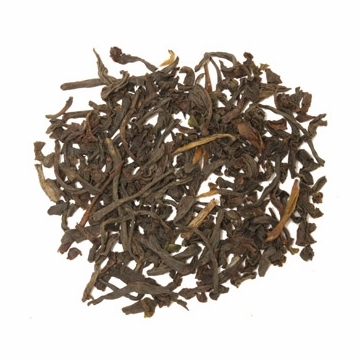 This blend consists of 2nd flush Assam tea which has a thick and robust character with delicious hints of malt. This tea is especially delicious with milk which further enhances the malty character to the tea and highlights of brightness of this premium tea. Free shipping with purchase over $60. The Scottish Breakfast Tea is outstanding. Robust and full of flavor. Tasty, yet understated. A perfect balance.I have been looking for this tea for a long time, and now I have found it..Very enjoyable.Thank you. I have tried over 22 different kinds of tea from Enjoying Tea. The quality (and service) has been excellent. What a great place to buy tea. Well-balanced, full taste but not too powerful. Good breakfast tea. Needs a good 4-5 minutes brew. Great balance, gentle, soothing breakfast tea. I'll be drinking a lot of this. When you feel like a good cup of tea with no particular challenges, this is your tea. 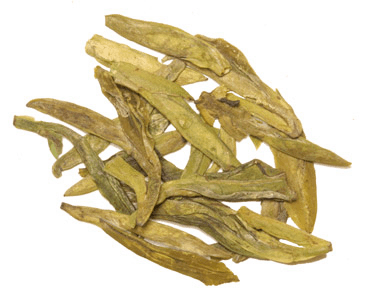 A great tea for everyday drinking, dependable flavor. Love this tea. It's my regular morning brew that gets me going. Scottish breakfast doesn't leave me jumpy like Irish breakfast and I prefer it's smoother flavor. Tasty. I wanted to try some new tea. I like the English Breakfast tea better. But this is in the top three. I have always enjoyed Assam tea, but this has now replaced it. It has all the delights of Assam, yet is a slightly milder, lighter brew. Tough little bugger to plug in for an early start for the day. Good bold addition to many other teas. To my taste, it has a very slight aftertaste. Decent tea. May be consumed with or without milk. The blend is stable over ten years, at least. Overall, I'm impressed at the smoothness of a stronger tea like Scottish Breakfast. I hadn't tasted a Scottish Breakfast before, so it was a new experience. I have had plenty of other teas which have a sharp bite at the end, but the quality in this one is very nice. It reminds me very much of an Irish Breakfast or English, but maybe a little more stout. I sometimes use it to temper another tea, like an Earl Grey. one of my favorite teas. A rich, satisfying wake me up tea. Favorite especially in the morning, but I drink it anytime also. Nice mellow, malty taste and goes down smooth, no harsh after notes. My previous tea purveyor closed and I've been looking for someone who sells high quality loose leaf tea. I've found it. The Scottish breakfast is a very traditional black breakfast tea that stands up to a little milk. Deep, rich flavor for those of us who drink tea first think in the morning rather than coffee. Good grade of tea...it is not tannings and dust but a good size leaf as well. Absolutely the best Scottish Breakfast Tea I've had in ages! Robust and full of energy! This richly flavored Assam black with full body is a hearty morning hand shake to any Midlothian. We prefer this tea over Taylors of Harrogate Scottish Breakfast Tea.. I was always told this is one of the strongest teas around and I did not feel that way when I tasted it. It is strong, but not as strong as the Irish Breakfast. It seemed a little milder and with great taste. I got this for my wife to replace a English breakfast tea. I am glad I did. Very good flavor and a hink of smokiness. Great for cold mornings. "Blends" tend to be either a bland uniformity of leaves & tastes, or too stark a conformity with a "type" of tea. This Scottish tea is has smooth, warm and toasty notes, caramel background hints, a nice medium amber cup colour--even good looking leaves, dry and steeped. It is ":breakfasty" in brightness, but not a tea too brisk for later in the day. I lack the imagination to have blended this myself, and will re-order! This Scottish Breakfast Tea has a richer, fuller flavor than most breakfast teas. This tea was a delight! I enjoyed mine at breakfast, but it works for any time of day. Love this tea! Its malty character is a nice change! Very rich flavor and fine black tea. A little goes a long way, so brew to taste. Of all breakfast teas I've tasted, this is among the best. The rich flavor is brisk without being bitter and is uniquely satisfying for a morning tea. I like black tea very much and Scottish Breakfast is my most often brewed hot beverage: morning and afternoon. I have, at times in the past, had a favorite Black tea that I would drink, but then would find that I was not enjoying it as much or even progress to not liking it. But I've been drinking Scottish Breakfast regularly for a few years and its taste has not flagged for me. It is rich-tasting but also bright-tasting and "lighter" in taste and after-taste than some other black teas. Coincidently, I did live in Scotland for some years. 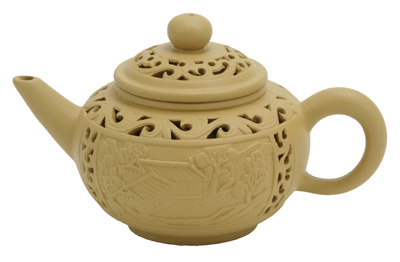 A medium bodied tea, I found it did relatively plain and nondecriptive for a blended black tea. I think of Scots blends as rich, strong flavored tea, and this tea was definitely not that. Milk overwhelmed it unless I used well over a teaspoon of tea per cup. I brewed this much longer than I wanted when I forgot about it. There was no bitterness which was a pleasant surprise!